One thing that I want to do when I have extra money or when the boyfriend wired my allowance it is pampering the little one. Just like today, I picked up the money that the boyfriend wired last night. I actually don’t have any plan of bringing him along with me because of the weather but at the last minutes I asked him to prepare. Gladly I did ask him go to as the movie I am supposed to watch last week is still showing. 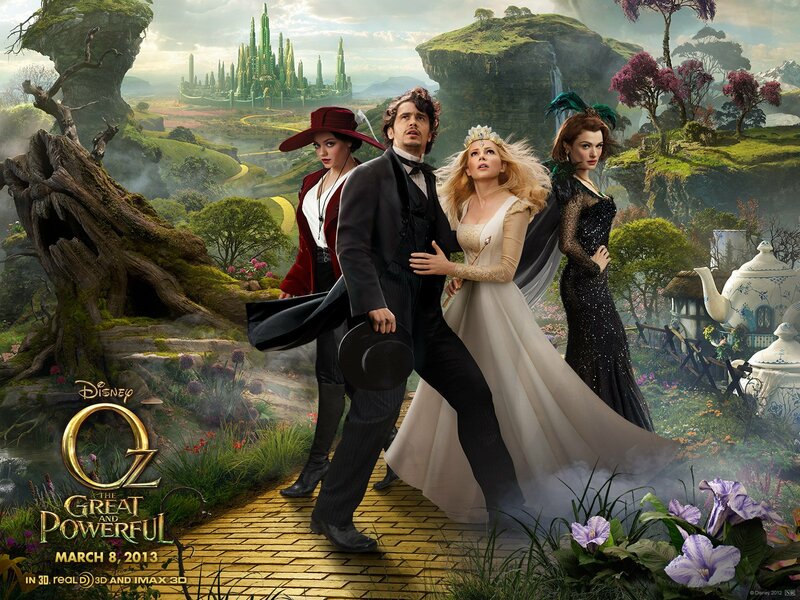 The movie I am talking about is Oz the Great and Powerful. I didn’t had a chance to watch the trailer of the movie but because it is one of the trending in my facebook wall and I also read somewhere that this movie is one of the top movie earner in 2013. With this I didn’t let the chance of watching it with the little one and I would say, the movie is really good. The little one enjoyed watching the movie, there are times that he will laugh out loud. One more thing, he asked if we can watch the movie again, just too bad I need to pay some bills and buy medicine for my mother. When Oscar Diggs, a small-time circus magician with dubious ethics, is hurled away from dusty Kansas to the vibrant Land of Oz, he thinks he's hit the jackpot - fame and fortune are his for the taking - that is until he meets three witches, Theodora, Evanora and Glinda, who are not convinced he is the great wizard everyone's been expecting. Reluctantly drawn into the epic problems facing the Land of Oz and its inhabitants, Oscar must find out who is good and who is evil before it is too late. Putting his magical arts to use through illusion, ingenuity - and even a bit of wizardry - Oscar transforms himself not only into the great and powerful Wizard of Oz but into a better man as well. hubby wants to see this movie... me on the other hand kind of not liking it. I was able to watch this movie on the first day it was shown in Singapore. Surprisingly, I liked the movie a lot! My eldest son is a fan of the old Wizard Movies, in fact he has DVD's for all.I am sure he will gonna like it too. I love this kind of fantasy movie with witches too. i haven't heard of this movie yet. that looks like a good one to watch for kids. Fantastic trailer, I hope its really a good movie.